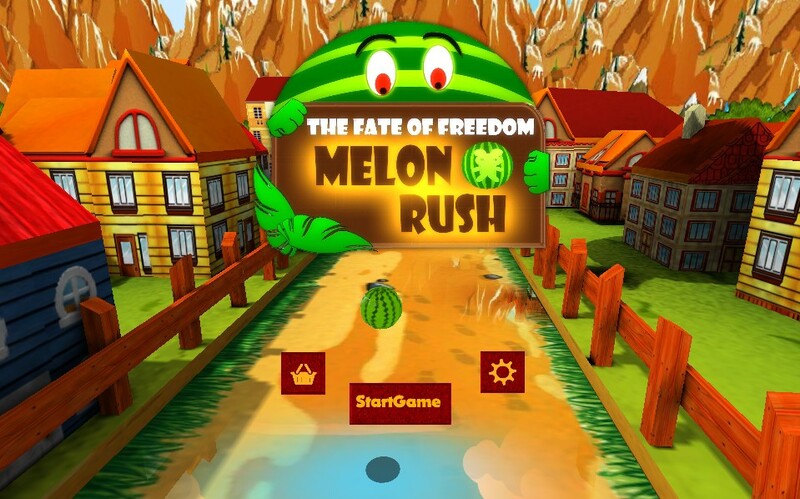 Melon Rush by Hybriona Labs is an endless running game starring a watermelon. Jump and slide to avoid getting cut by the big butcher knife! Get ready for this epic adventure fun run with Little Melon. Run, Jump and dash over and around tyrant Cleavers ( Obstacles ) in this crazy new running game. Forget the Temple, jungles and subway stations - the village roads are waiting for you. 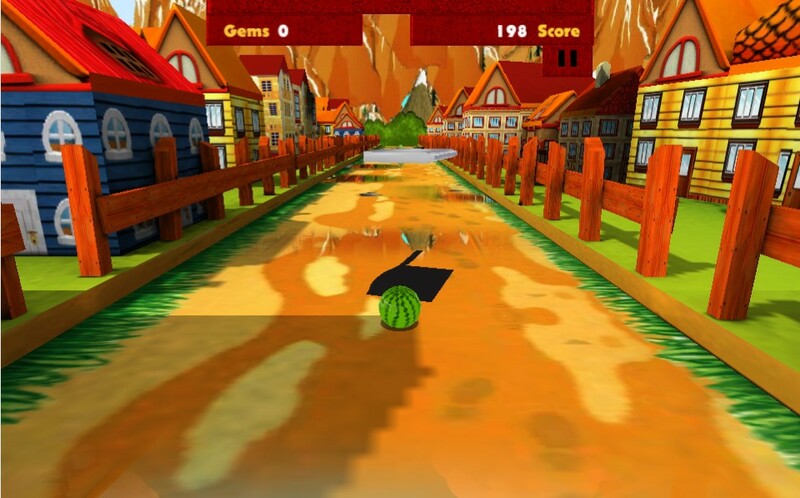 Melon Rush is an endless runner game featuring a watermelon. Yup, you heard it right, the main character in this game is a rolling watermelon which will jump, slide and roll! Furthermore, instead of monsters, your nemesis is butchering knives, lots of them. 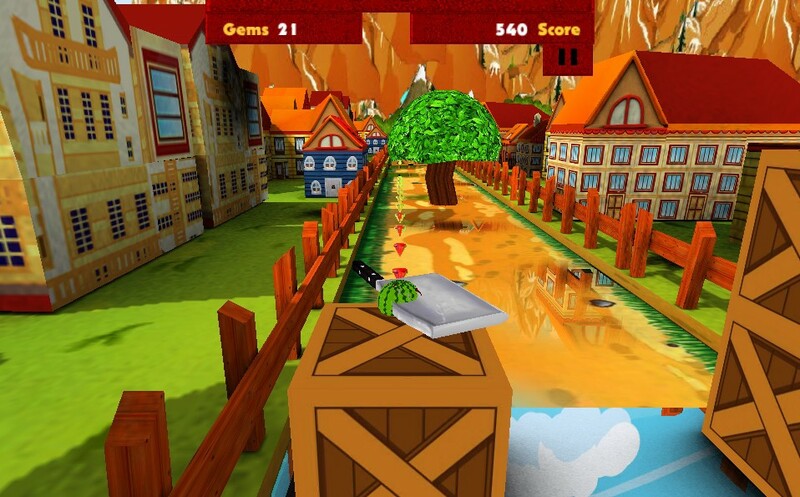 The gameplay itself is rather typical of an endless runner game. You slide left and right to avoid obstacles. You can also jump to avoid blocks and low flying cleavers. There are several power ups that you can purchase when you have earned enough gems by playing the game. The power ups are useful if you are trying to break your record and share it to your friends. Overall, Melon Rush is a witty endless runner game. Death animation can be improved, but overall, Melon Rush, or shall I say, WaterMelon Rush is a cute endless runner game that has enough appeal to try at least once!